The beauty of Quran recitation lies on the tajweed. Tajweed itself means ‘proficiency’ or ‘doing something well’ which implies that there are rules to be observed. Applied to Quran recitation, obeying the tajweed rules means to read the Quran with such proficiency that each letter in the Quran is given its rights and dues of characteristics. Even Prophet Muhammad (Sallallahu ‘alaihi wa sallam) recited Quran with the help of Jibreel (alaihis salaam) that showed the Prophet in what ways Quran was permissible to recite. Even the best of the human is learning. Isn’t that a good enough motivation for us to start learning now? Learning the tajweed rules is not only an obligation for those who are in their way to recite Quran, but it is also a Sunnah. As Allah says in the Quran, “And recite the Quran (aloud) in (slow and melodious) style (tarteela).” (Surah Muzzammil, aayah 4). The thing about learning tajweed rules is that you can’t do it overnight. There are seventy rules to tajweed, and it’s quite a struggle for a beginner to learn all of them. I myself, know from experience the struggle of learning the tajweed rules, since I am not a native Arabic speaker myself. The first thing in tajweed rules to learn is makhraj or origin of words. The 29 Arabic letters originate from 17 different places in your mouth that give each letter its distinctive sound. Pronouncing the letter clearly and correctly from the place it originates is the first thing to learn. Sifat or attributes are the elements that determine how a letter should be pronounced, either soft or sharp. Then there are also basic rules called ikhfa, ghunna, idzar, idgha, qalb that determine the sounds of letters when meeting certain letters. Adding to these tajweed rules is madd or elongation that determines the length in which a letter should be pronounced under certain conditions. Knowing the basic tajweed rules will at least not make you do the common mistakes in Quran recitation. There are two known common mistakes among scholarships; clear mistakes and unobvious mistakes. The clear mistakes include the incorrect pronunciation of words that can change the meaning of the words. This can be a fatal mistake as you may deliver wrong message. The common clear mistakes among scholars are changing one letter into another, or a short vowel (harakah) into another, not observing the elongations (madd), and stopping or starting at an incorrect place so that the meaning is spoilt. As most of us can easily notice the clear mistakes, it’s not the same case for unobvious mistakes. Usually only those who have studied tajweed rules or experts in this field that notice such unobvious mistakes. These mistakes include not being totally exact with the length of madd, or not observing the attributes of each letter perfectly. This kind of mistakes may not change the message, but it may spoil the harmonious melody of Quran recitation. Preoccupation with the Quran is one of the most virtuous acts of worship, whether by reciting it, pondering on its meanings, or working according to its teachings. Quran recitation is great art in its self. There is a difference between reading and reciting Quran. To improve your Quran recitation, learning tajweed rules is a must. There are many ways that you can take to reach proficiency in learning tajweed rules. Start by practice, practice and practice. You can also find a teacher with an excellent understanding of Quran and Arabic to listen to your recitation and correct you. While listening to the Quran audio, you can read tajweed Mushaf, a kind of Quran featuring the rules of Tajweed presented in color coding. The best thing is that you don’t have to buy the book because now there are various tajweed mushaf available online. Smartphone users can now even download the Quran application and learn Quran recitation anytime anywhere with ease. Learning the tajweed rules and reciting Quran perfectly can help you to please Allah and to receive His blessings. And remember, practice and practice. Repetition will make perfect insha Allah. Tips to Learn Tajweed Rules for Reciting the Words of Allah! As the second largest religion in the world, Islam adherents consist of 1.62 billion people or 23% of the human population on earth. That is really a huge number. Originated in the Middle East as the place where the religion was born and introduced, these Islam adherents, called Moslems, spread all over the world nowadays. In fact, only about 20% live in the Middle East, where the religion originally grew. It’s not surprising that Islam is considered as the fastest growing religion in the world as more and more people convert to Islam regardless of any negative personification it’s recently labeled with. With 80% of its adherents live outside of the Middle East, we can’t expect that all Moslems know Arabic, which is often considered as the root language of the religion. Many activities of the religion are performed in Arabic. For instance, Moslems’ prayer called shalah is performed five times a day in the Arabic language. Various original sources related to the root are also available in Arabic since the religion was introduced by an extraordinary man of Arabic, Prophet Muhammad (peace be upon him). More importantly, its holy book, Quran, which is the words of God and also the prime source of Islam, is written in Arabic. While learning from Quran is an obligation each Moslem is burdened with, it is also a challenge in itself. Since the Quran is written in Arabic, not all Moslems can understand it because they are not the native speakers of the language. Indeed, it is very much advised to learn Arabic or at least to be able to read the Quran written in Arabic. However, for non-Arabic Moslems, mastering a new language is not something that can be achieved overnight. Not to mention that Arabic is a language with its own writing system and complex grammatical rules. Luckily, for Moslems outside of the Middle East who are lacking the understanding of Arabic, many Quran translations are now available, both in the physical book form or digital form, one of which you can access in http://tajwid.learn-quran.co. Unlike other holy books, Quran is still written in Arabic despite being translated into various languages. It is believed that what written in the Quran is the words of God. Therefore, it is essential that the message is preserved in its correct form. Besides, reciting Quran in Arabic is also considered as a noble act of piety. It’s just that the Quran is now featured with translations to make it easy for non-Arabic Moslems to understand the message in the holy book. While the Quran translations help the readers to better understand the Quran, the Arabic version is to preserve the original form. Thus, you will not find any alteration in the Arabic Quran although the translations are altered because of the different methods of translation over time. Isn’t it just beautiful how Quran is preserved as it is? There has never been any alteration in the holy book even after centuries. The content is still exactly how it was when first revealed to Prophet Muhammad by the Angel Gabriel. It is just as Allah has promised that the purity of Quran will always be preserved. Indeed it is. Meanwhile, nowadays we found many forms of Quran translations in various languages. Then comes a question: is it okay to only read, for instance, Quran in English without reading the Arabic version because it is hard and we don’t understand Arabic, so we are going to have to read the translation to understand the content anyway? Imagine, one letter is rewarded ten-fold. How generous is that? However, if mastering the Arabic is beyond us, it’s alright to read the Quran in English. Although it is to be noted that learning in Islam is an obligation, so while now read the Quran in English, better try to learn to read the Arabic version because that is the original Quran that we are muslims blessed with. With that being said, being a non-Arabic muslim is not an excuse for us not to learn Arabic. After all, what is better than understanding the holy book in its original language? Translations may alter over time, the English words used may vary depending on the translators of the Quran, but if you read the Quran in Arabic, it is guaranteed that you read what was given to Prophet Muhammad [peace be upon him] centuries ago. Besides, reciting the Quran in Arabic will please Allah more. Isn’t that the best motivation? So, don’t stop learning. The Prophet Muhammad (peace be upon him) said, “The most superior among you (Moslems) are those who learn the Quran and teach it.” [Sahih Bukhari (Book #61, Hadith #546). This hadith emphasized the importance for us Moslems to learn the Quran to later teach it. Of course, learning comes prior to teaching. While teaching the Quran is considered one of the greatest and noblest acts that can be performed by any Moslems, the way to get there (learning the Quran in order to teach it) is as great nonetheless. One of the biggest motivation to start the Holy Quran recitation is that the act will be rewarded generously. Every harf (a letter or syllable) is rewarded ten-fold as Ibn Mas’ud (May Allah be pleased with him) reported: The Messenger of Allah (Sallallahu ‘alaihi wa sallam) said, “Whoever recites a letter from the Book of Allah, he will be credited with a good deed, and a good deed gets a ten-fold reward. I do not say that Alif-Lam-Mim is one letter, but Alif is a letter, Lam is a letter, and Mim is a letter. In the past, our Prophet Muhammad (peace be upon him) was taught by Jibreel in learning and reciting the Holy Quran. His followers then learned the Holy Quran recitation from Prophet Muhammad (peace be upon him). How about us? Our beloved Prophet had long passed away. The best we can do is, of course, learning from the experts in this field. However, it’s not always easy to find the best teacher. Not to mention, some of us are busy with works while seeing a teacher does take time and efforts. Moreover, not all of us live in the area where it is easy to get access to good Quran teachers. That is why learning Quran online then becomes the best option. Considering this need, learn-quran.co comes offering quality online education for Quran. You can learn the Holy Quran recitation from home. You can either listen to Quran online or download the files and listen to them at your most convenient times. This way you will be able to learn anywhere, anytime. Space and time are no longer a limit when we are talking about self-teaching trough online resources. The challenge then comes in realizing that, for beginners, the Holy Quran recitation is not as easy as reading the Book. Learning the tajweed is one of the biggest challenges in this journey. And what is the easiest way to learn? Yep, by imitation. Basically when we were babies, we learned to speak by listening continuously to people talking around us. As our speaking organs developed, we then started speaking by imitating the sounds. Then, why not applying this imitation rules to the holy Quran recitation? Listen to Quran as much as possible. Expose yourself to a lot of Quran Recitation. You can easily access the Quran online in learn-quran.co or download Quran audio and listen to Quran repeatedly. Besides, listening to Quran itself is a sunnah, and you may receive his blessings while doing so. It is one of the easiest noble deeds you can do. Just be silent and listen. “So, when the Quran is recited, listen to it, and be silent that you may receive mercy.” [al-A‘raaf 7: 204]. Listening to Quran itself is like giving nutrients to the souls. You get calm while listening to Quran and study also has found that listening to Quran actually give positive benefits to your body health. Listening to Quran is not only a psychological pleasure but also can be medicines as diseases are driven out from your soul and body. Even if we can’t manage to see good teachers to learn Quran due to various reasons, it’s not an excuse not to learn at all. Learning Quran online can be the best choice. As long as you have an internet connection, you have everything that you need to accomplish the Holy Quran recitation. Also, a great will and determination are what it takes to be successful in learning Quran online. Don’t stop in the midway. It is also recommended to have friends who are also trying to accomplish the same thing so you can motivate each others. After all, we are all brothers and sisters in this beautiful Islam. Do You Know That Listening to Quran Can Do This Much to Your Body And Soul? Learning Quran is made easy these days with a lot of sources to learn Quran both online and offline. With facilities like Quran mp3 and Quran Download features on the internet you can learn Quran anywhere, anytime, simply by listening to Quran audio from your smartphone, one of which you can download from http://tajwid.learn-quran.co. Aside of that, it turns out that listening to Quran give a lot of benefits to your body and soul, as study confirmed. Yes, there is a scientific reason behind this. It was Enrick William Duve, a scientist that discovered that wave sounds can affect the brain positively and negatively. Our brain reacts to the sound differently depending on the vibration it is exposed to. Our brain cells vibrate rhythmically in a balanced way ever since we were babies. If any disorders are to occur on this program, our body will react to a deficiency of immune system and causes diseases. It turns out that balanced and rhythmical sound waves have positive effects on the body. That is why wave sound vibration is now commonly used by therapists to treat patients who are suffering chronic diseases like cancer. Besides, sound therapy is also useful for treating some psychological diseases such as Schizophrenia, Anxiety, sleeping problems and some bad habits such as smoking and drug addiction. People suffering from these diseases are often treated with wave sound therapy by their therapists. It helps reduce the symptoms and cure the diseases. Listening to Holy Quran gives the same positive effects. It is because the sound waves from the Quran recitation are rhythmical, and it helps to rebalance the brain cells which in return will increase our brain capability and performance. All you need to do is listen to Quran being recited. There is no effort in listening, right? You can listen to Quran audio while taking a bath, cooking, jogging, driving or even doing your job. It’s effortless. And nowadays you don’t have to buy the Quran audio because you can simply use the Quran Download feature on the internet. The Messenger of Allaah (peace and blessings of Allaah be upon him) also used Quran as medication. When he was ill, he would recite Quran. This was narrated by Aa’ishah (may Allaah be pleased with her). This healing method is called Ruqyah and is well known among Moslems. This practice is performed by reading Quran or Dua prescribed by Prophet (peace and blessings of Allaah be upon him) for the purpose of physical and spiritual healing. Ruqyah can be done by the person himself or doing it for other people as a form of care. This practice had been performed by our Prophet (peace and blessings of Allaah be upon him) and his friends since a long time ago. As Muhammad the Messenger of Allah (peace and blessings of Allaah be upon him) had performed it himself, it is considered as Sunnah. And living the Sunnah is of course the best way of life. To make it easy, here is the list of some benefits you can get by simply listening to Quran mp3 or Quran audio. cure non-chronic illnesses such as allergy, headache, flu, etc. For Moslems, of course listening to Quran gives a lot more benefits than that. Besides, it is also an act of piety in our religion. The benefits are just the bonus aside of the pleasures from listening to the Quran. Although these benefits do not appear overnight. That goes without saying. They result from continuous listening to the recitation of Holy Quran. So, what are you waiting for? Download Quran and listen to the Quran audio or Quran mp3 to get these fruitful results. There are various reasons to learn a new language, and there are many ways you can take to master one. As for Arabic, it is the 5th most commonly spoken native language in the world with over 300 million native speakers. It is also the language that is highly related to Islam, one of the biggest religions in the universe with a huge number of believers spreading all over the world.It is not surprising that a lot of people want to learn Arabic. Many people learn Arabic for a religious reason, since Arabic is the language of Quran, the holy book of Islam and learning the Quran is an obligation for all Moslems. 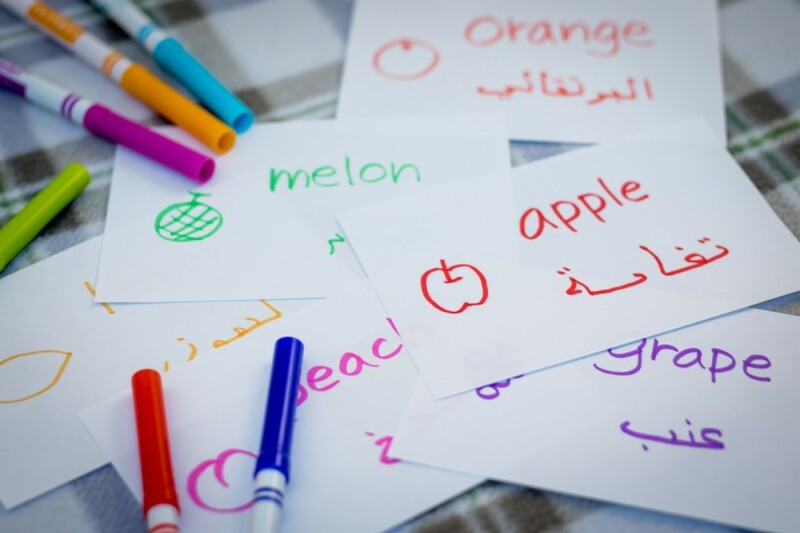 As a language with its own writing system, learning Arabic is a challenge in itself as you have to learn not only how the language works in its distinctive grammar, but also memorize the writing symbols for its 29 letters. It is going to take efforts and time to learn the language, but the benefits you are going to get is going to be worth it. For instance, if you are a Moslem, you will get a better understanding of the Quran without having to read the Quran translation. For business purpose, you can work as an interpreter and translator and many more benefits. Nowadays learning another language is made easy with the help of technology. Resources to learn the language can easily be found online. There are websites that offer services and tutorial on how to learn Arabic. This way you can learn Arabic online with less effort, as all you need is internet connection and willingness and spirit to learn. The thing is that the Arabic language is classified into some different types. For instance, if you are learning the language for daily conversation, you are going to learn different language system from the one for the Quran. So, the first thing to do if you want to learn Arabic online is deciding the type of Arabic you need to learn. If you are learning Arabic for the purpose of academic writing or formal context, learn Modern Standard Arabic (MSA). This type of Arabic is used widely across the Arab World for literature, newspapers, education, radio/television news programs, political speeches, etc. In case you are learning Arabic for understanding the Quran, you should learn Classical (Qur’anic) Arabic. This is the type of Arabic that is used in the Holy Quran and various Islamic text resources. Meanwhile, if you are planning to live in Arab World, learn one of Colloquial Arabics that consist of Gulf Arabic, Mesopotamian Arabic, Levantine Arabic, Egyptian Arabic, and Maghrebi Arabic. Because Arabs speak regional dialects, and one dialect can be significantly different from the other. So choose one that you need the most. The second guide in how to learn Arabic is finding a partner. Learning a new language is best done by using the language both through written and spoken forms. However, you can’t just practice by yourself. Having a partner can be a huge help in the process. You can help each other in achieving new levels. You can find a partner from an online course. It is even better if you can get a native Arabic to teach you the language, and you can teach them your native language in return. It is a win-win solution. Nowadays doing things like this is not hard at all, especially with the presence of the internet and social media. in meaning because they are constructed of the same letters. For instance, “masjid” [consisting of four letters mim, sa, ja, and da] means the place for praying. While praying in Arabic is “sujud” [consisting of three letters sa, ja and da], and “sajadah” [consisting of four letters sa, ja, da, and ha] is what people call a rug used for praying. learning any language in general. After all, what are you learning the language for if not for using it, right? Don’t hesitate to practice. Don’t be afraid to make mistakes. Sometimes, we only know the right version of something after learning from previous mistakes. For Moslems, Arabic is the language of worship and prayers. We pray in Arabic. Our Holy Quran is written in Arabic. Since our religion roots in Arabic, it will help us better understand Islam by learning Arabic. Even if we are non-Arab Muslims, learning Arabic is important, so that we could read the Quran and improve our understanding of it. With technology nowadays, we can learn Arabic online from our home through online tutoring. Hopefully, this guide of how to learn Arabic is helpful for you. The world is changing rapidly and we are experiencing a technology boom. The central point in evolution of technology is mobile phone. Now you can easily spent your time in front of your mobile phone to learn Islam. Learn Quran Tajwid is a mobile app that helps you to learn reading the Quran. This application is designed to be effective, efficient and high quality. It use Theory-Practice-Test methodology and contains comprehensive curriculum to master reading the Quran. We try to give the best for you, by featuring Al-Hafiz Muhammad S. Bashir, the first winner of international competition on Quran (Kuwait 2014) and teacher in various Quran classes, as the oice-over of this app, so you can learn how the script pronounced perfectly. With Learn Quran Tajwid you can learn to read Quran better, easier, anytime and anywhere.